Wear this gorgeous ring with your casual or everyday outfits. The ring has the shape of a diamonds with rounded edges. 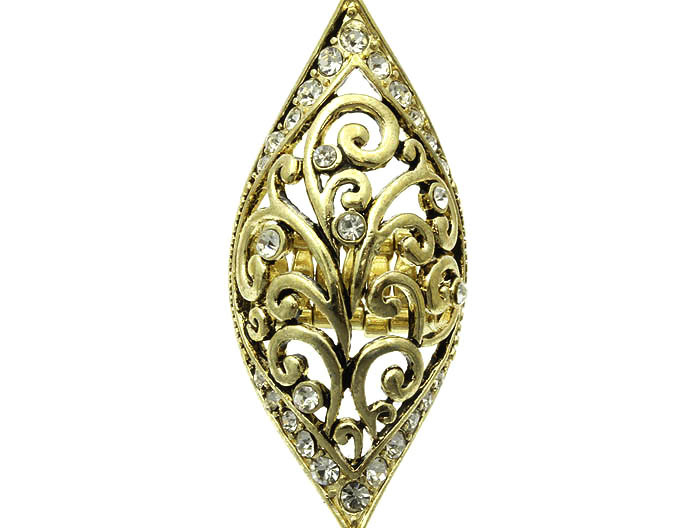 Exquisite ornament in the center, clear crystal embellishment. Add a touch of something special when you add this piece of costume jewellery to your favorite outfit.